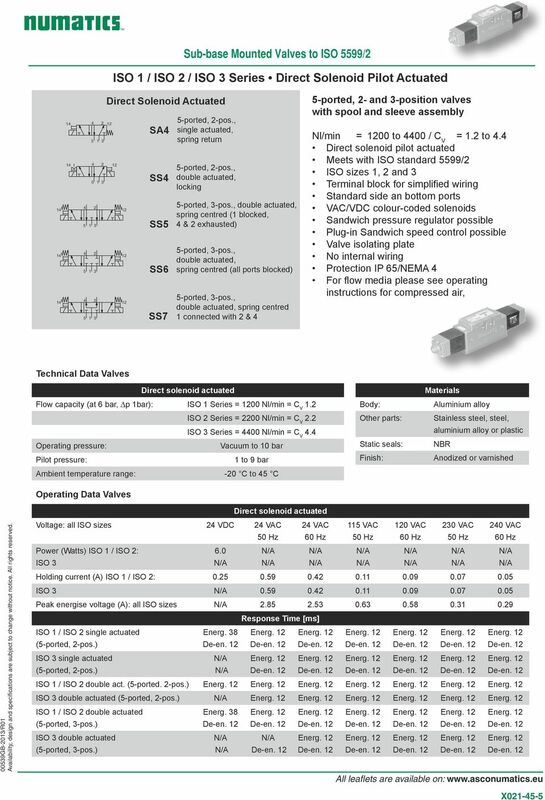 Download "Valves. 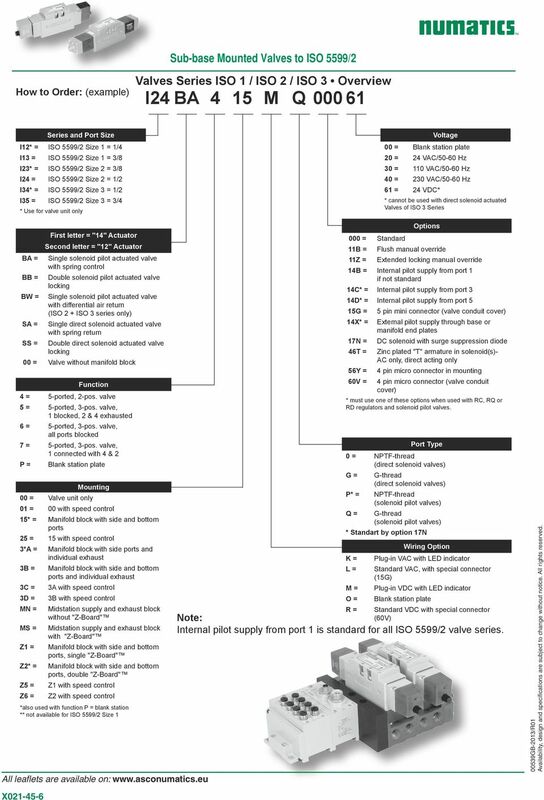 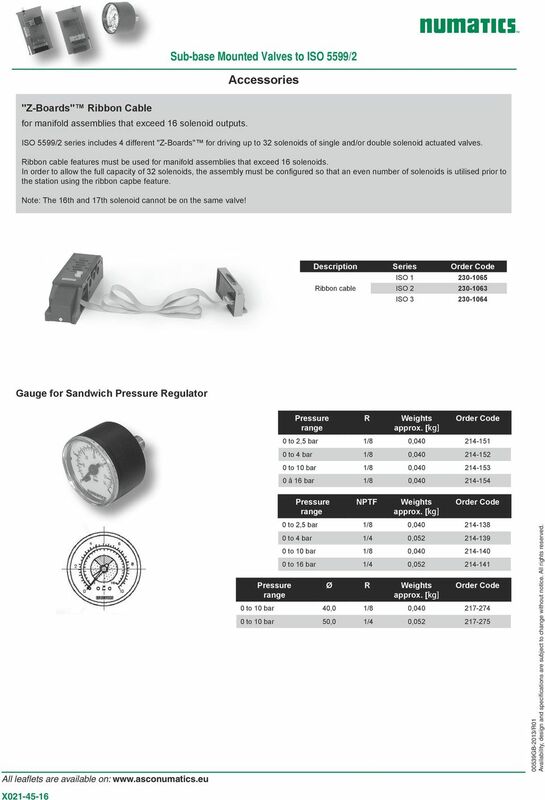 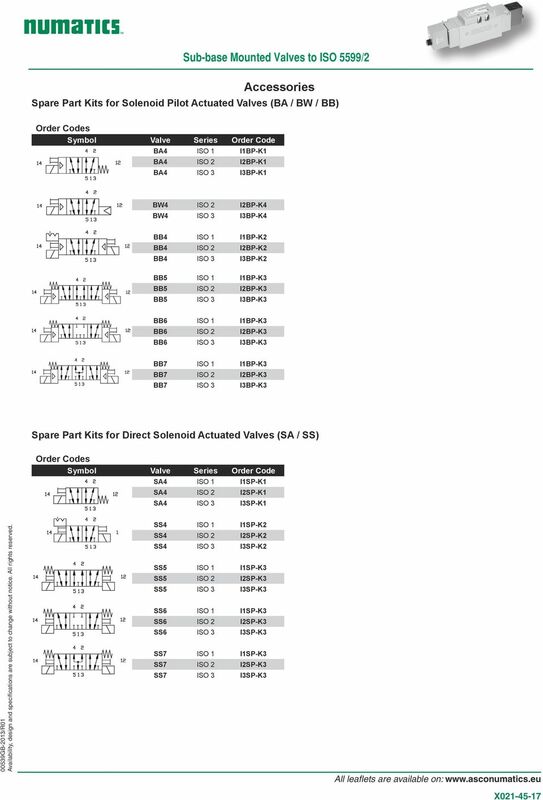 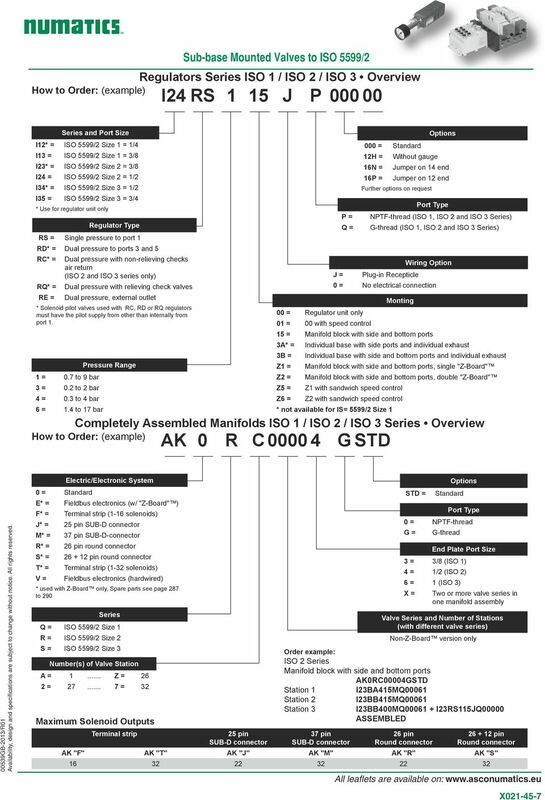 Sub-Base Mounted Valves to ISO 5599/2"
6 How to Order: (example) Valves Series ISO 1 / ISO 2 / ISO 3 Overview I24 BA 4 15 M Q Series and Port Size I* = ISO 5599/2 Size 1 = 1/4 I13 = ISO 5599/2 Size 1 = 3/8 I23* = ISO 5599/2 Size 2 = 3/8 I24 = ISO 5599/2 Size 2 = 1/2 I34* = ISO 5599/2 Size 3 = 1/2 I35 = ISO 5599/2 Size 3 = 3/4 * Use for valve unit only Voltage 00 = Blank station plate 20 = 24 VAC/50-60 Hz 30 = 110 VAC/50-60 Hz 40 = 230 VAC/50-60 Hz 61 = 24 VDC* * cannot be used with direct solenoid actuated Valves of ISO 3 Series BA = BB = BW = SA = SS = First letter = "" Actuator Second letter = "" Actuator Single solenoid pilot actuated valve with spring control Double solenoid pilot actuated valve locking Single solenoid pilot actuated valve with differential air return (ISO 2 + ISO 3 series only) Single direct solenoid actuated valve with spring return Double direct solenoid actuated valve locking 00 = Valve without manifold block Function 4 = 5-ported, 2-pos. 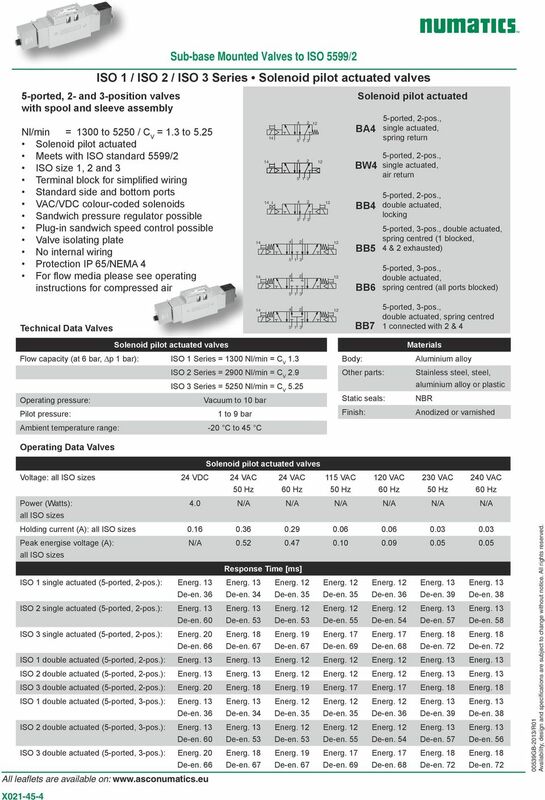 valve 5 = 5-ported, 3-pos. 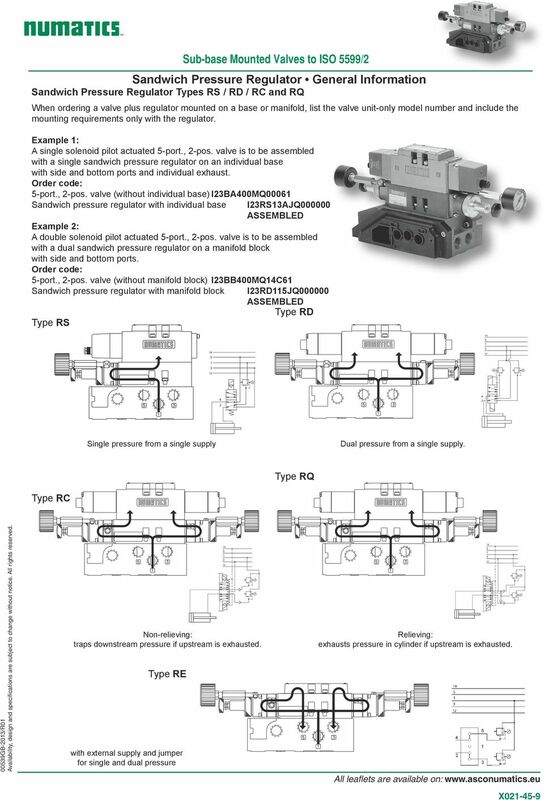 valve, 1 blocked, 2 & 4 exhausted 6 = 5-ported, 3-pos. 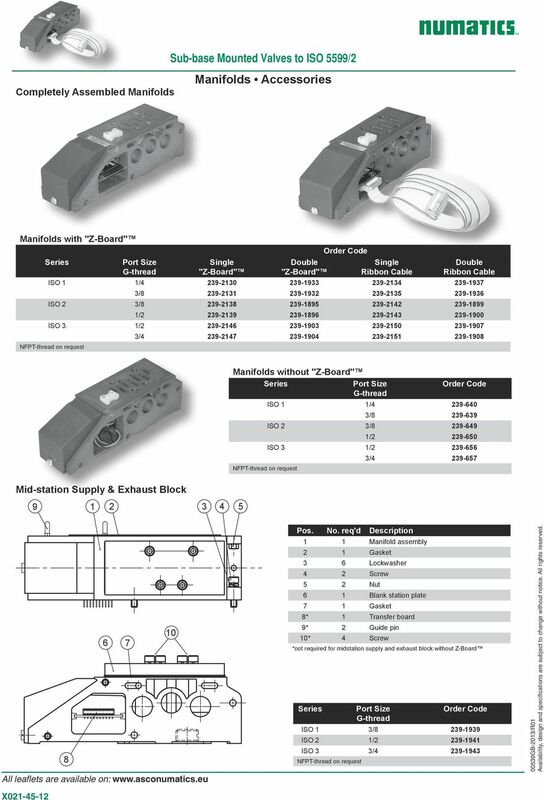 valve, all ports blocked 7 = 5-ported, 3-pos. 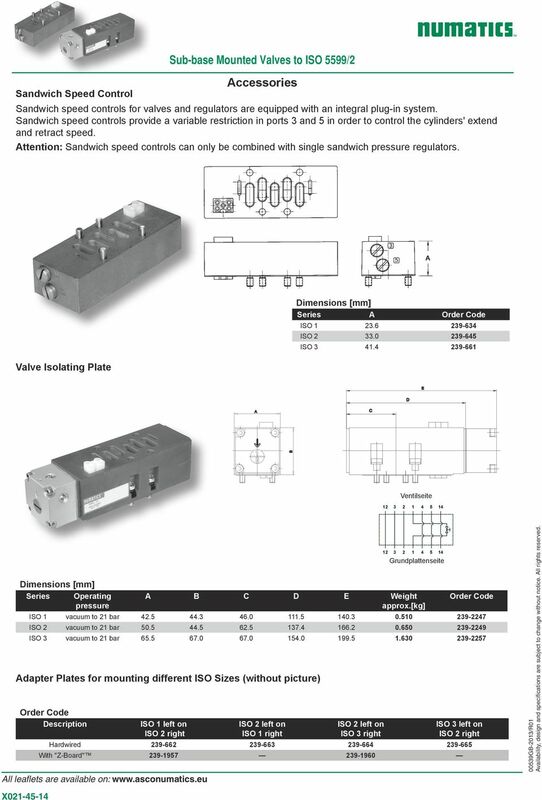 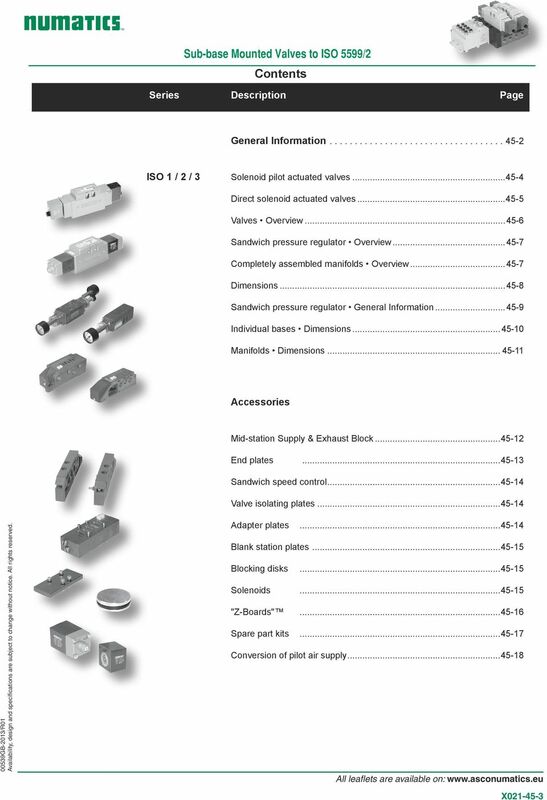 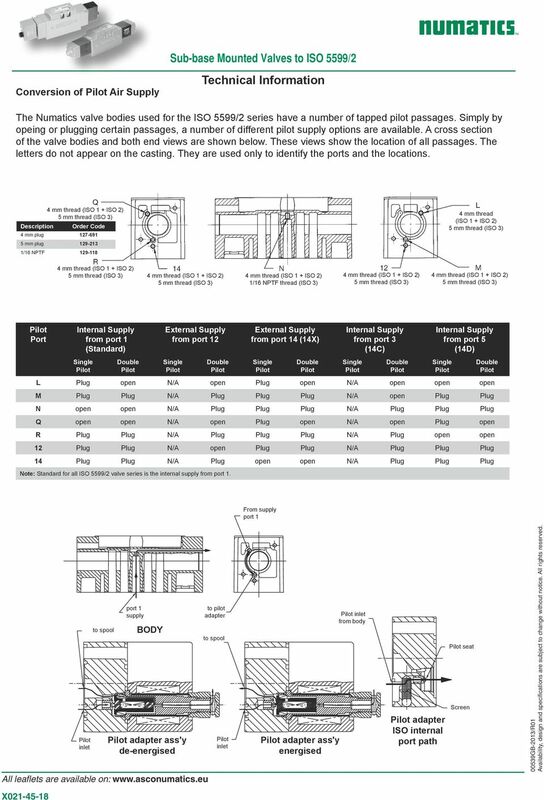 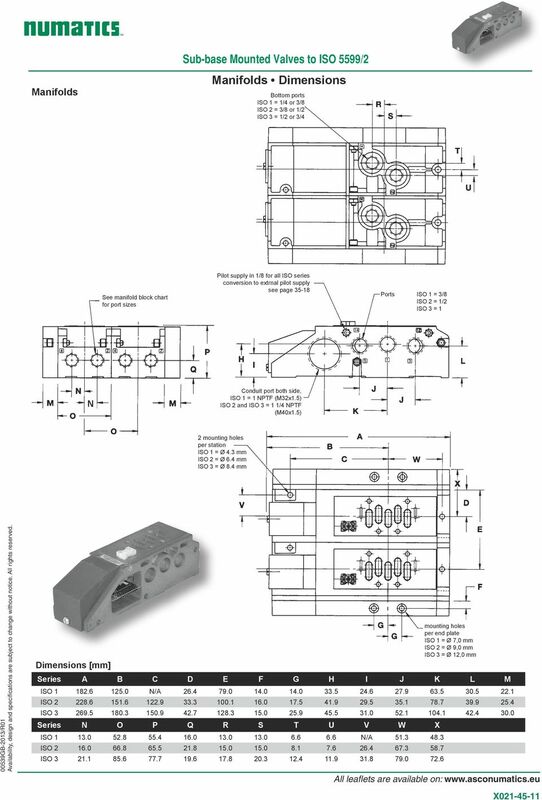 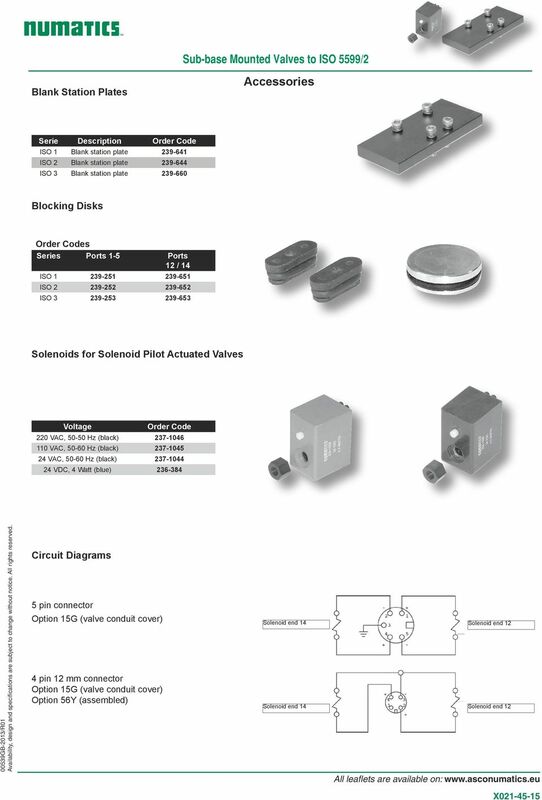 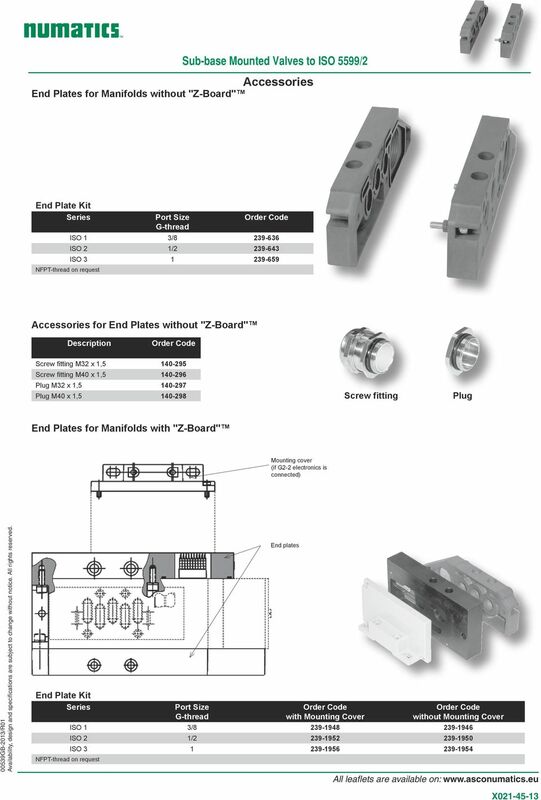 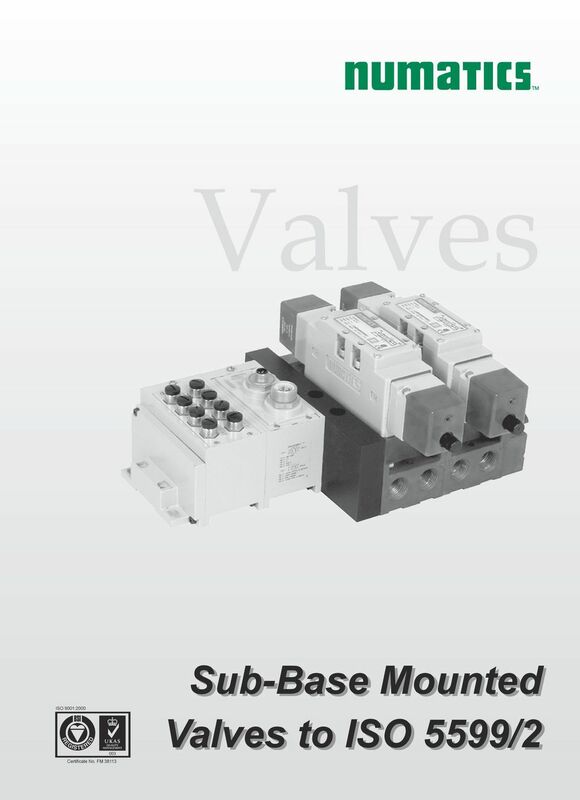 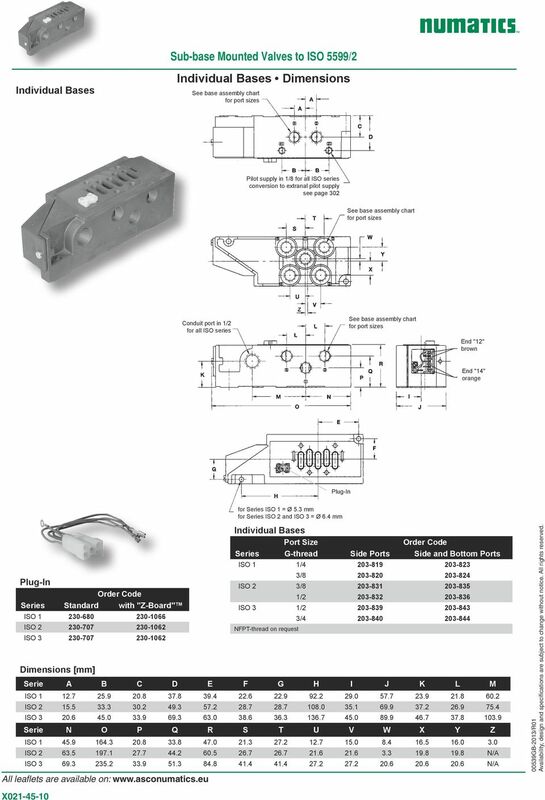 valve, 1 connected with 4 & 2 P = Blank station plate 00 = Valve unit only Mounting 01 = 00 with speed control 15* = Manifold block with side and bottom ports 25 = 15 with speed control 3*A = Manifold block with side ports and individual exhaust 3B = 3C = 3D = MN = MS = Z1 = Manifold block with side and bottom ports and individual exhaust 3A with speed control 3B with speed control Midstation supply and exhaust block without "Z-Board" Midstation supply and exhaust block with "Z-Board" Manifold block with side and bottom ports, single "Z-Board" Z2* = Manifold block with side and bottom ports, double "Z-Board" Z5 = Z6 = Z1 with speed control Z2 with speed control *also used with function P = blank station ** not available for ISO 5599/2 Size 1 X = Standard 11B = 11Z = Options Flush manual override Extended locking manual override B = Internal pilot supply from port 1 if not standard C* = Internal pilot supply from port 3 D* = Internal pilot supply from port 5 15G = 5 pin mini connector (valve conduit cover) X* = External pilot supply through base or manifold end plates 17N = 46T = 56Y = 60V = DC solenoid with surge suppression diode Zinc plated "T" armature in solenoid(s)- AC only, direct acting only 4 pin micro connector in mounting 4 pin micro connector (valve conduit cover) * must use one of these options when used with RC, RQ or RD regulators and solenoid pilot valves. 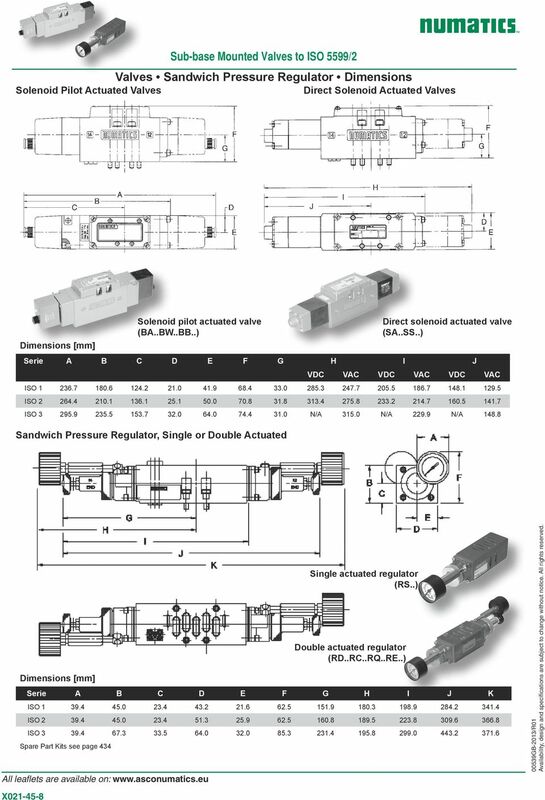 Port Type 0 = NPTF-thread (direct solenoid valves) G = G-thread (direct solenoid valves) P* = NPTF-thread (solenoid pilot valves) Q = G-thread (solenoid pilot valves) * Standart by option 17N K = L = M = O = R = Wiring Option Plug-in VAC with LED indicator Standard VAC, with special connector (15G) Plug-in VDC with LED indicator Blank station plate Standard VDC with special connector (60V) Note: Internal pilot supply from port 1 is standard for all ISO 5599/2 valve series. 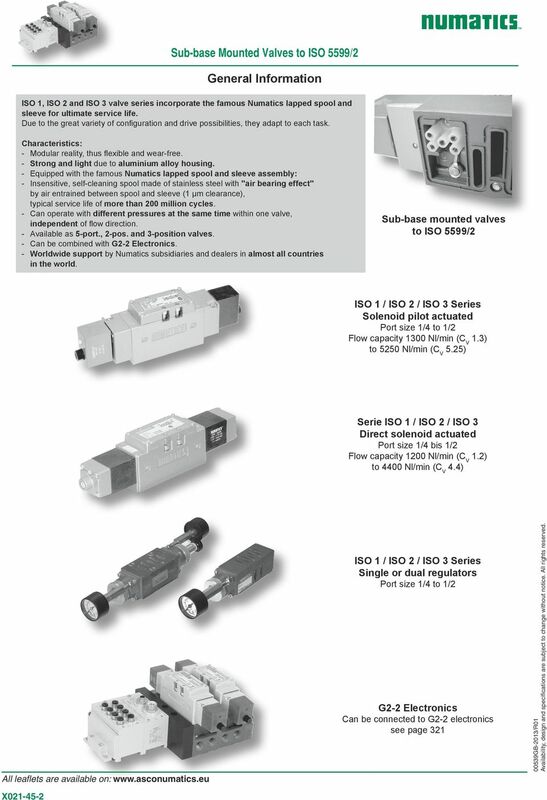 Today Numatics is proud to be a part of the Industrial Automation Division of Emerson Electric Co.